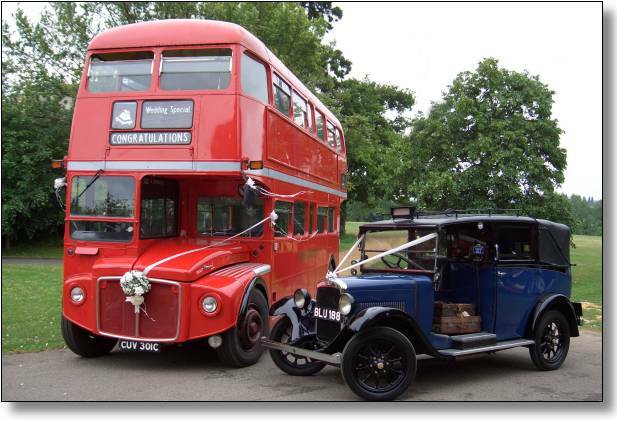 Our fleet includes two original 1934 Austin Taxi's, a 1928 Austin Estate Coach, a 1973 Rolls Royce Silver Shadow with the exclusive number plate "1 WED", a 1974 Mini 100 and a 1969 Mercedes 280 SE. In addition, should you need a larger vehicle we can provide double and single-decker buses. 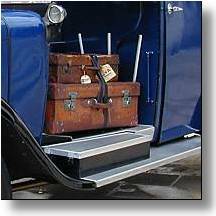 All our vehicles are maintained to a very high standard and our staff are always smartly turned out. Its your big day and we aim to do everything we can to make it as special as possible for you. 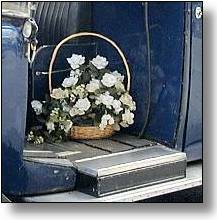 We include in our basic charge a choice of white or ivory ribbon on all our vehicles, our taxi's come with a choice of either a silk flower arrangement or period leather luggage in the luggage space. We can also decorate the vehicles to co-ordinate with your colour scheme i.e. different coloured ribbon or even fresh flowers (additional charges may apply). Austins vehicles have appeared on television (including 1940's House and The Big Breakfast) and in films (including Fever Pitch, The Heart of Me and Metroland) many times as well as appearing in a Natasha Atlas pop video - MonAmie La Rose.